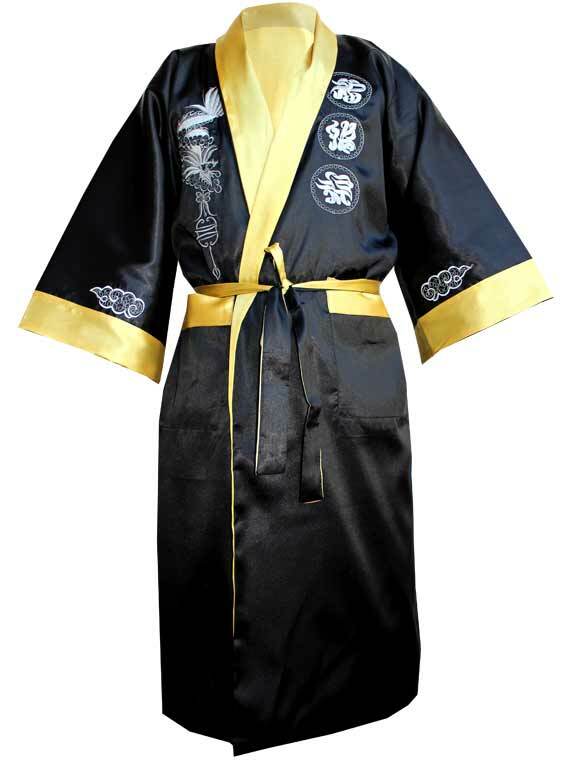 This kimono is totally reversible. No seams are apparent. You can wear this kimono in black or yellow depending on your mood. 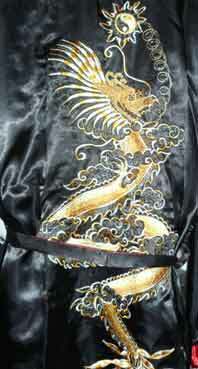 Dragon embroidered on the back of the kimono and Chinese ideograms on the sides of the sleeves. 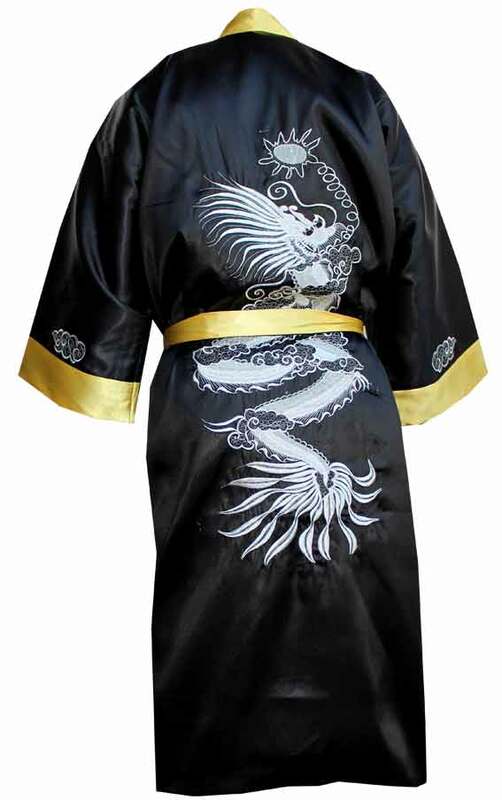 This kimono is enhanced by 2 front patch pockets.